Written by emily whittemore on Wednesday, January 27th, 2016 at 9:36am. 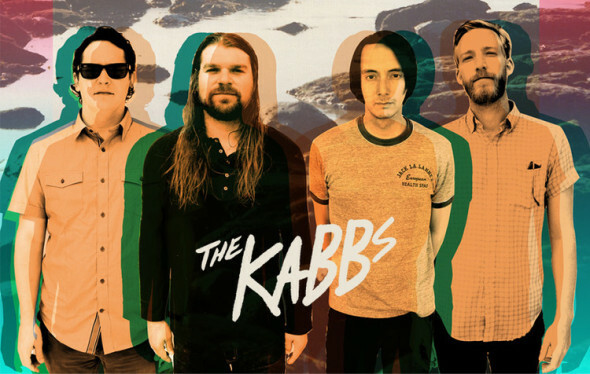 If you’re looking for cheap thrills and ample sonic stimulation to start your weekend off right, head to Whistle Stop this Friday, January 29 for the record release party for local garage rock indie band The KABBS. With fast-driving beats and dual vocals, you’ll be bopping up and down protopunk style. Their latest 7-inch vinyl includes A-side title track “I Really Don’t Know You” and B-side “These Days,” both of which display their influences from the energetic underground music of the 1960s. You can have a listen to the first track below. Supported by Brooklyn label Reheated Spaghetti, The KABBS will be joined by Kids in Heat, who can be described as quick, raw, low-fi, and straight from the basement. A more fuzzy and distorted combo of surf and psychedelic, Sheila & the Rainbow Coloured Trash Bags will also be coming out to play. DJs T-Murder and Lurkville Julian will curate sets as well. The show starts at 9pm, there’s no cover, and there will be a raffle to win your very own Fender Telecaster. Bring your friends for a damn good time. And remember kids, wear a condom. Video: Ty Segall - "Where Your Head Goes"